As one of my readers pointed out on my Facebook page, it must be surreal to have elements of my “worlds” brought to life in art. It is. It’s even crazier than hearing talented voice actors narrate my stories in the books’ audio editions (congrats to Ray Chase, winner of this year’s Voice Arts Awards for Best Male Audiobook Narration for his work on my A Warm Place to Call Home). 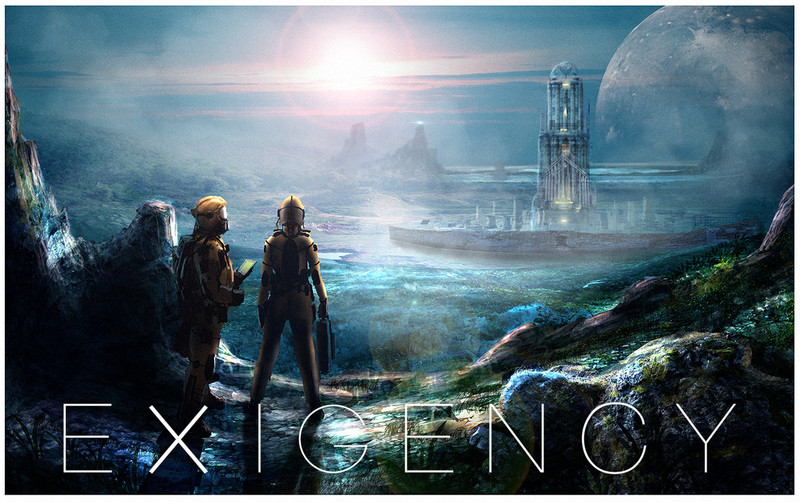 Beloved Swedish artist and book cover designer Andreas Raninger whipped out the base of this panoramic Exigency concept art in maybe 30 minutes, spending the rest of the time tweaking little details, and yet he managed to capture Threck City and the surrounding land better than I could ever describe. Some kind of intuitive artistic genius at work there. Quick plug: Exigency for Kindle devices and apps is on sale today, through the weekend, for $0.99. 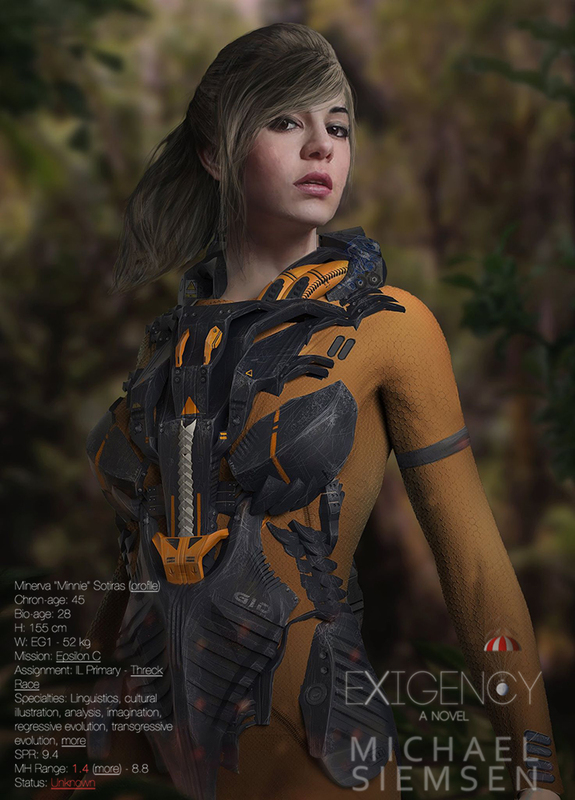 And next we have this character profile for one of Exigency’s main heroines, Minnie, by Belgian artist, Matthias de Muylder, who works in many styles, but specializes in producing inexplicably life-like 3D art. Even more insane, he’s only been doing art for a YEAR. What?!? 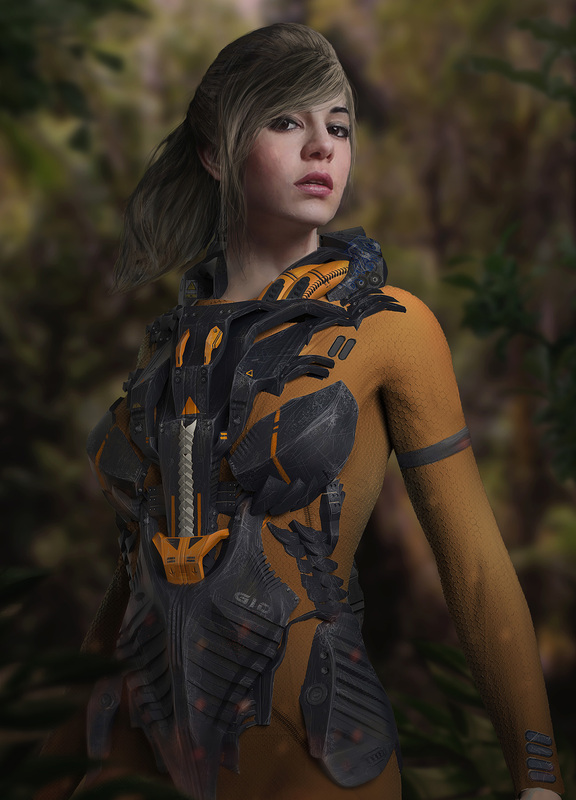 Stay tuned for more concept art from these brilliant artists. Subscribe below to my blog to be notified via email of new posts like this. Sign up for e-mail blog updates, new book releases, and subscriber-only free content.